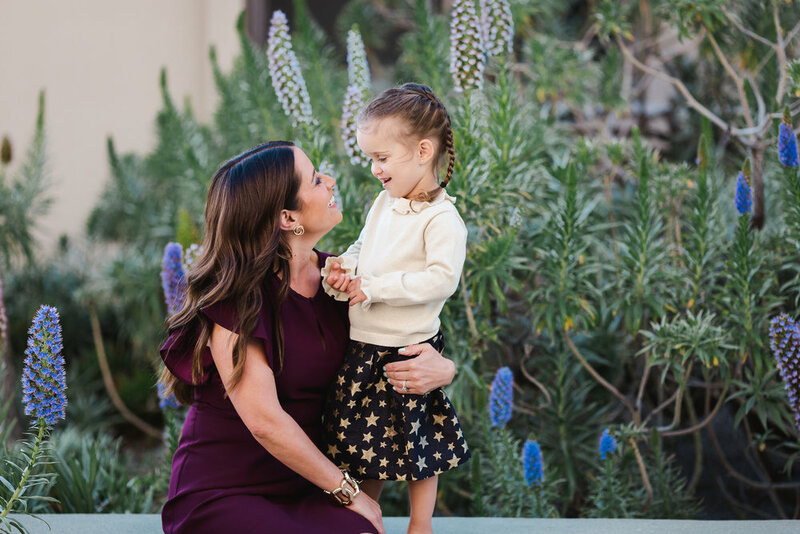 SAN DIEGO HAS SO MANY BEAUTIFUL CHOICES WHEN IT COMES TO SELECTING THE LOCATION FOR YOUR FAMILY PHOTOGRAPHY SESSION. 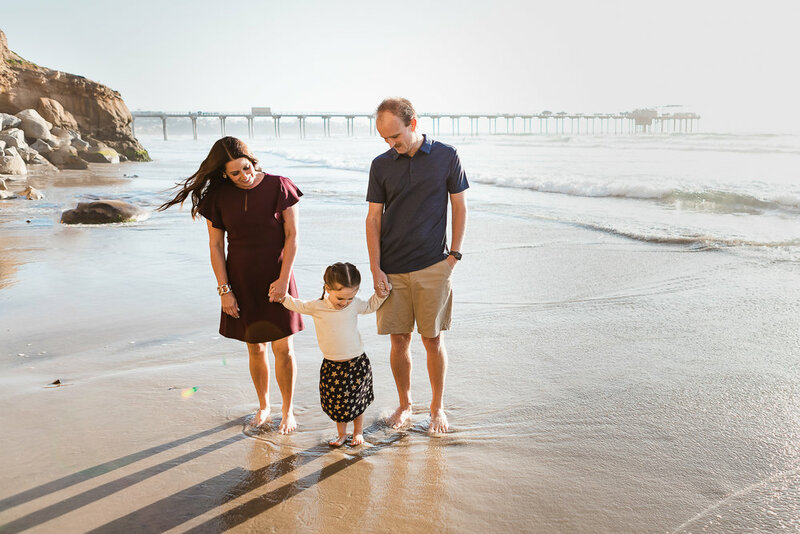 HERE ARE THREE REASONS I LOVE HAVING FAMILY PHOTOGRAPHY SESSIONS AT SCRIPPS PIER IN LA JOLLA. San Diego has many beautiful beaches, but I get more excited when I’m shooting at La Jolla Shores because Scripps Pier adds a beautiful element in the background of the images. I love making the most of it by shooting on both sides, and underneath! Unlike other beach piers this pier has beautiful repeating patterns underneath and gives great dimension in the final collection of images. Before heading down to the beach I love starting my sessions on the campus overlooking the beach. There are some great spots to grab some portraits in open shade, and most of the year there are trees and plants blooming which helps incorporate some fun color in images. 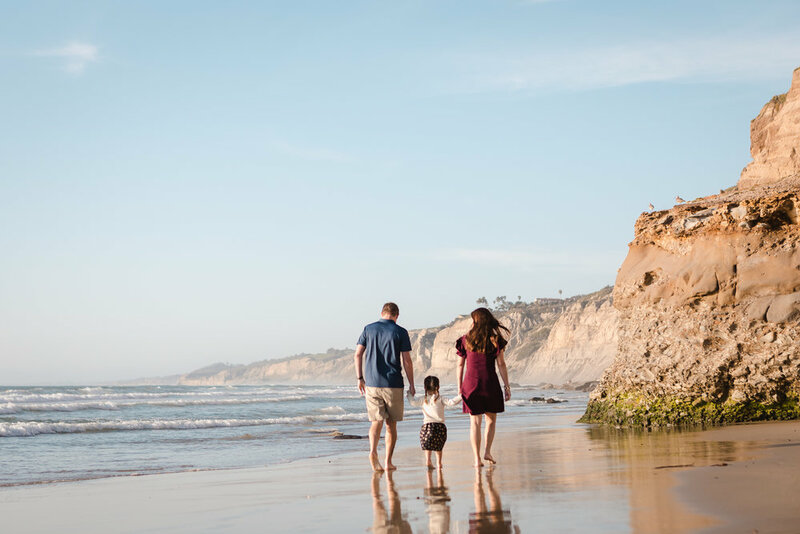 La Jolla Shores is a popular beach, so there are always people enjoying the sand and the surf. However, it’s also a spacious beach and even when there are a lot of people there I am always able to photograph my clients using angles that make it seem like there are hardly any other people around. Low tide is more ideal for more available sand at almost any beach, I’ve shot here at high tide and it was totally fine for us. I love taking my clients to the cliffs nearby also to give even more diversity to their gallery.